Those of us lucky enough to call a dog a furry, loveable member of the family know that having a furry family member is a lot of work too. 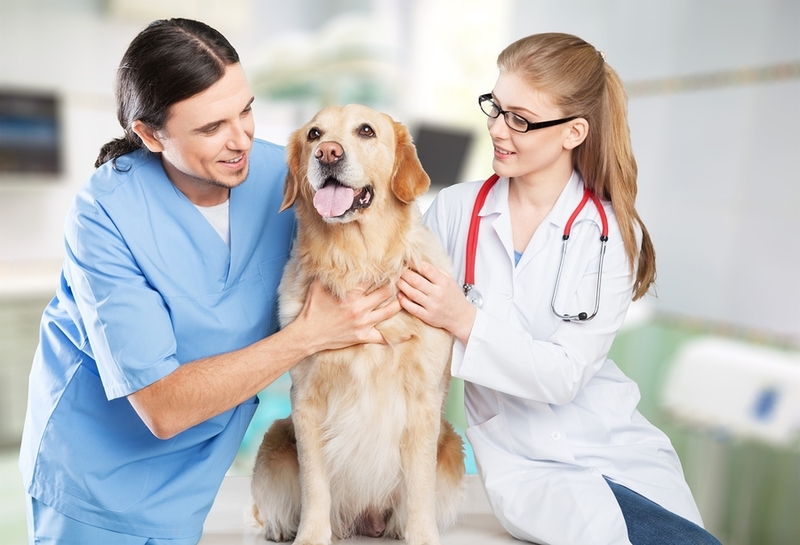 You really have to take care of them as you do the rest of the family; you take them for regular vet visits both to make sure they are still in good health and to mend any ailments they may already have. While your vet plays one of the most crucial roles in you and your dog’s life, the trips can be quite expensive, and wouldn’t it be nice if you could lower the cost of them a smidgeon or visit less often? Now, you may be thinking that reducing your vet visits isn’t possible; however the contrary is actually true! There are actually a few ways you can prevent or gradually reduce your frequency to the vet and ultimately cut the costs down from home and they’re all rather simple changes to make – all of which can greatly improve their start to life, maintain their their health in their adult years, through to giving them back their energy if they happen to be a little more senior. One of the main ways to maintain a healthy lifestyle for your dog is through their diet. What they eat matters, just like it matters for us and an unhealthy lifestyle means more vet bills for you. You may not notice early on in their younger years but feeding them a great diet from the start will give them the vital nutrients to sustain their health and activity levels for far longer. Now this doesn’t mean only cutting out all of the human food they likely consume from time to time from your table either. It means better food with better ingredients that they need to stay healthy, rather than cheap, indigestible fillers found in cheaper dog food that are not so good for them. Rather than feeding your furry friend low-quality pet food full of fillers, why not try feeding them premium food such as Advance or super premium food such as Ziwipeak, MfM, (which are actually made with human grade ingredients), Ivory Coat, Hills Science Diet or Black Hawk to boost their overall health, both inside and out. If you are not feeding them on a premium or better still, a super premium diet, you will be glad you made the change in the long run! Omega-3 and -6 fatty acids for a healthy, shiny coat. Supplements are meant to fill in the gaps where the nutrition in their diet may be lacking, so it’s always a good idea to be familiar with what’s in your dog’s food and consult your vet if you’re thinking of giving your dog nutritional supplements. Once you’ve got a healthy, nutritionally balanced diet in place for your furry family member, you’ll want to turn your attention to their lifestyle. Make sure you take your dog on regular walks or trips to the park to keep their energy up and they can make friends too! Good energy and movement helps strengthen joint movement as well as a healthy appetite, and the nutritionally balanced diet will ensure they only eat what is necessary to keep going to maintain a healthy weight. This entry was posted in Food, Health and tagged Black Hawk. Grain Free, Blackmores, Dental, Digestive Health, Healthy Diet, Ivory Coat, Joint Health, Meals For Mutts, Natural Animal Solution, Premium, Super Premium, Supplements, Vet's All Natural, Weight Management, Ziwipeak. Do You Know Your Dog’s Real Age?